I’m still not really sure how I got away with making this for dinner last night. Basically it is just a combination of all my favourite foods (that I’m still eating at the moment, due to New Year’s resolutions and all that nonsense…) put onto a stick. But Ciaran still went along with it and enjoyed it. You know why? Because putting food on a stick always makes it awesomer. The only thing I can currently think of that wouldn’t work is cottage cheese. Not sure why that particular ingredient popped into my head, but it was the first thing that I couldn’t imagine eating on a stick. When you think about it, doesn’t corn get better on a stick, doesn’t cotton candy get less sticky and all over your face on a stick (well for most people) and don’t you just sometimes wish you could have your very own giant meatball on a stick? (Yeah, that’s in the gallery as well). Some of my least favourites would have to be the fried milk on a stick…or possibly even the cake pops but that’s just because I haven’t mastered making those yet. They now sit among my foodie foes, along with omelettes and custard. The moral of the stick story however, is that you should take your favourite vegetables and cheeses and meats and combine them in a lovely stick party on your plate. 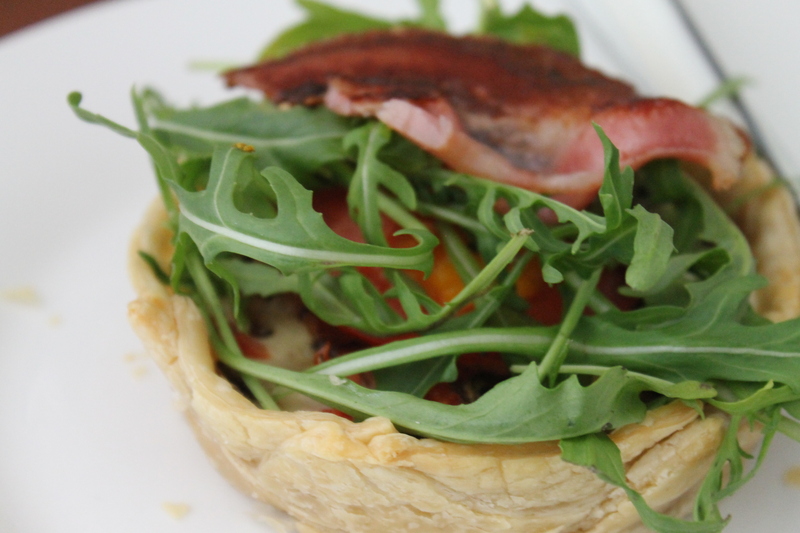 I served this with a side of arugula dressed in just a touch of olive oil, a squeeze of lemon juice, a sprinkle of salt and pepper and a bit of shaved parmesan but that last ingredient was purely for flair. This recipe can be done either on the barbecue or in a pan over medium heat. Cook the chorizo for 1 minute on each side, remove and set aside. 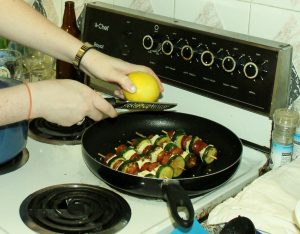 Cook the zucchini for 2 minutes on each side, remove and set aside. 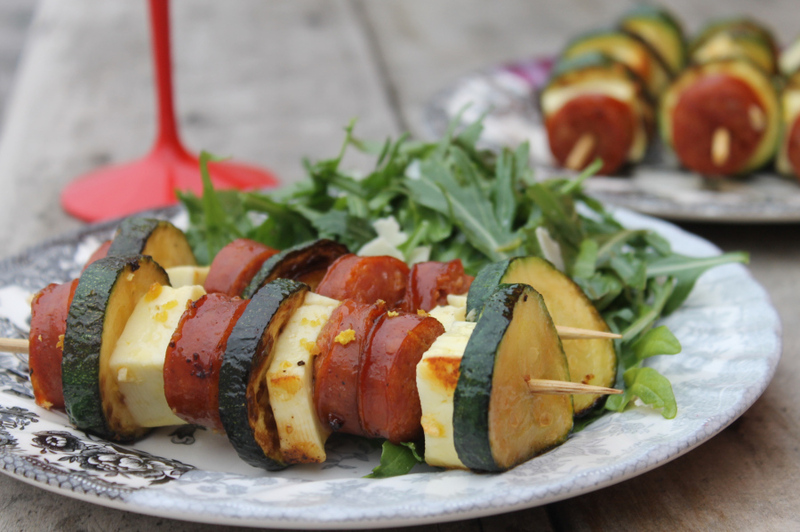 Thread the chorizo, haloumi and zucchini onto 6 medium or 4 large skewers. Put them into the pan and drizzle with a bit of olive oil, the garlic and then hold the lemon over the pan and grate a bit of lemon zest over the top of the skewers. Cook skewers, turning occasionally for 4 to 5 minutes or until the chorizo and haloumi are brown and heated through. 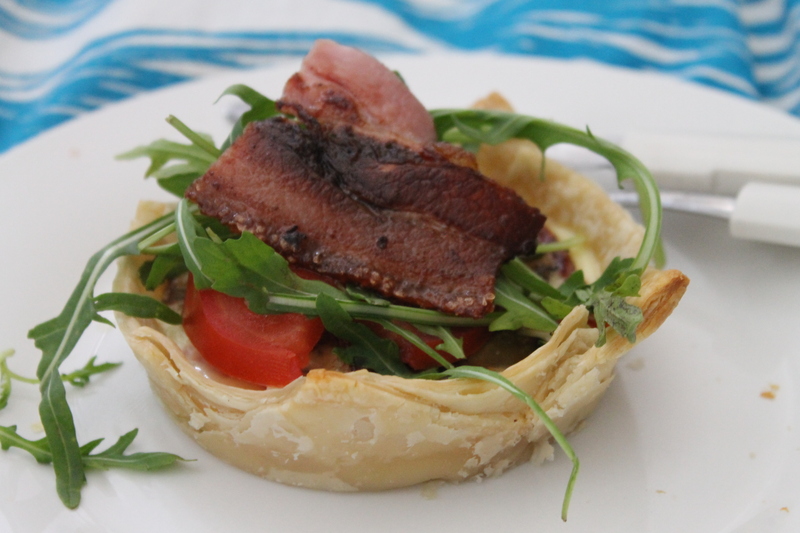 Serve with arugula salad. 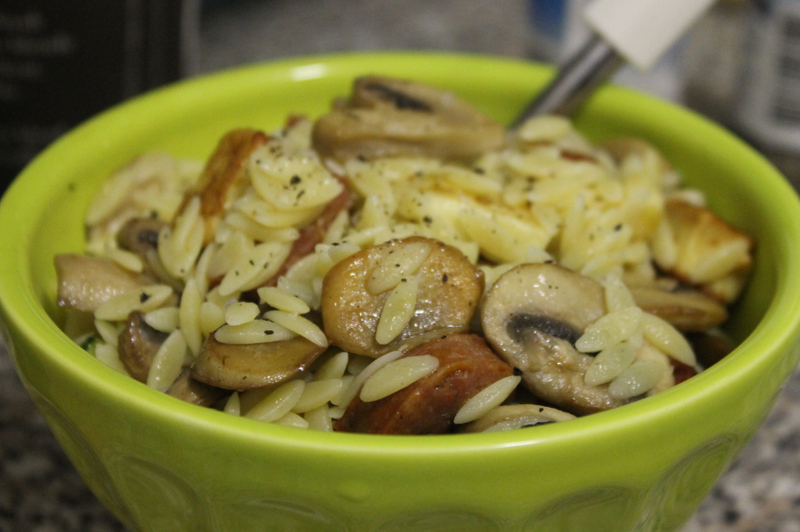 And if you have leftovers, like I did, simply add some sauteed mushrooms and orzo for a second weeknight meal.